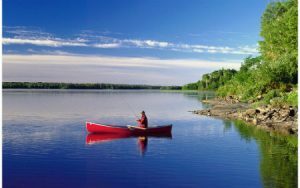 Whether you love to fish, hunt, canoe or you just want to enjoy the beauty of the Canadian wilderness, you’ll find something in Northern Ontario. This is a land of 100,000 freshwater lakes – all teeming with fish. A land of boreal forest inhabited by moose, bear, deer and eagles. 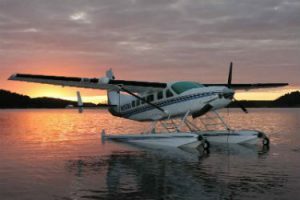 Northern Ontario has the best wilderness experience Canada has to offer and its here waiting for you. Above all, Northern Ontario is known for its great angling opportunities – we really are Canada’s premier fishing destination. With thousands of lakes to choose from you won’t have any problem finding your own quiet fishing spot – and the opportunity for that once in a lifetime trophy catch is always there! With carefully managed harvest quotas, the hunting opportunities are better than most other locations in North America. Big game such as moose, bear and deer can be found roaming the forest. 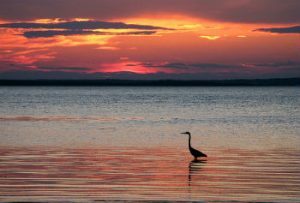 Game birds and migratory waterfowl are abundant. Experience nature at its best. Virgin stands of trees that have never seen an axe line rugged trails perfect for viewing wildlife. Country is home to hundreds of different bird species for the avid bird-watcher. Canoe for miles upon miles across rivers and lakes and appreciate Canada’s wilderness beauty. Travel through another time as you make your way across the same routes used by the fur traders three centuries ago. Ancient native rock art gives you a glimpse of a unique culture that is over 10,000 years old. Historic sites, such as fur trading posts and forts restored to their 19th century condition, provide you with a glimpse of how the first European settlers to the area lived. The aboriginal people continue their proud traditions through activities such as Pow-Wows, traditional native arts, crafts and storytelling. Northern Ontario has all the ingredients required for a fun-filled family vacation. Hiking, mountain biking, and golfing are just a few of the activities you can enjoy. Water-based activities, such as, swimming, scuba diving, boating, windsurfing, canoeing or kayaking are all available. Want a piece of this paradise? The small towns and cities, which dot our region, are known for their unique character and friendly people. Summertime is a great time to visit if you want to enjoy the many festivals and events that take place. Set on owning a piece of this paradise? A place where families, couples, anglers and adventure seekers fulfil their vacation dreams every year. There are memories and adventures here that belong only to you. Call us! We’ve got a property just for you. Anglers from all over North America flock to Northern Ontario for its world class fishing. With 100,000 lakes and tens of thousands of miles of waterways, your only company will be a fresh full stock of healthy fish. You can choose from a number of options: a campground at a placid lake, a remote fly-in fishing camp or a full service drive-in resort. The calm open waters of Northern Ontario are also very inviting for the fly fishing angler. Primary species caught in Northern Ontario include: small mouth bass, northern pike, muskie, walleye, lake trout, perch and crappie. Northern Ontario features one of Canada’s top ten walleye lakes, is home to three of the world’s best muskie fishing areas, and has the only lake in Northern Ontario to yield fish over 60 Ibs. Your trophy awaits! Choose a guided trip or go it alone. 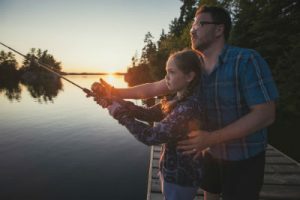 Whether it’s spring, summer or fall, you won’t be disappointed because Northern Ontario boasts a rewarding fishing experience all year long. Talk about an angler’s paradise! Anglers looking for a challenge will not be disappointed in Northern Ontario. Northern, walleye, lake trout, muskie and small mouth bass will push your angling skills to the limit. But you don’t have to be a professional to fish the waters of Northern Ontario. There’s always a challenge and an adventure awaiting you no matter where you drop your line. If you were to design a landscape specifically for anglers and hunters, it would probably look a lot like Northern Ontario. Miles of glittering water and dense forest provide home for fish and wildlife, and a playground for the rest of us. That’s exactly what the Ontario Out of Doors Travel Guide said about Northern Ontario and they were right on the money. When you consider the fact that Northern Ontario contains some of Canada’s most famous fishing lakes, is used as a shooting location for many televised fishing shows, and is home to some of North America’s largest angling competitions, you know that it just doesn’t get any better! The In-Fisherman Magazine suggests that you,”Take a look at the long list of waters and it looks like the roster for an all- star team!” According to Ontario Out of Doors, “It’s a top notch drive to Ontario Wilderness. And if you really want to get into the outback, it’s a superb jump off for either fly-in or canoe-in adventures.” So if you are looking for a real “write home about it” fishing, complete with bragging rights over and above your fishing pals, stop looking and start packing.